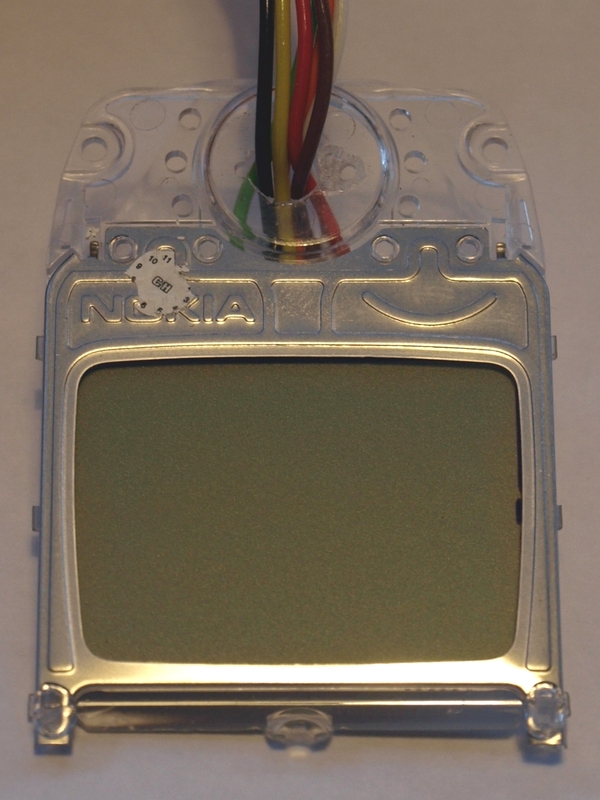 A Nokia 3310 LCD Screen is a graphical monochrome 84×84 pixel LCD screen, controlled by the Philips (NXP) PCD8544 IC. You can get them for very cheap. I picked a few up from eBay for about £3.00 each. The displays are very easy to use. They are interfaced with the SPI bus at 3.3 volts. This means with a simple potential divider, you can control them from a PC parallel port. On this page, I will use the Velleman K8055. It is probably simpler to use a parallel port but my new box doesn’t have one – such is progress! To interface the Nokia 3310 LCD to the Velleman K8055 requires some pull up resistors to compliment the open collector outputs. The diagram below shows how I set up the interfacing. The setup is pretty standard. I have used resistors so that the pull ups draw less current. 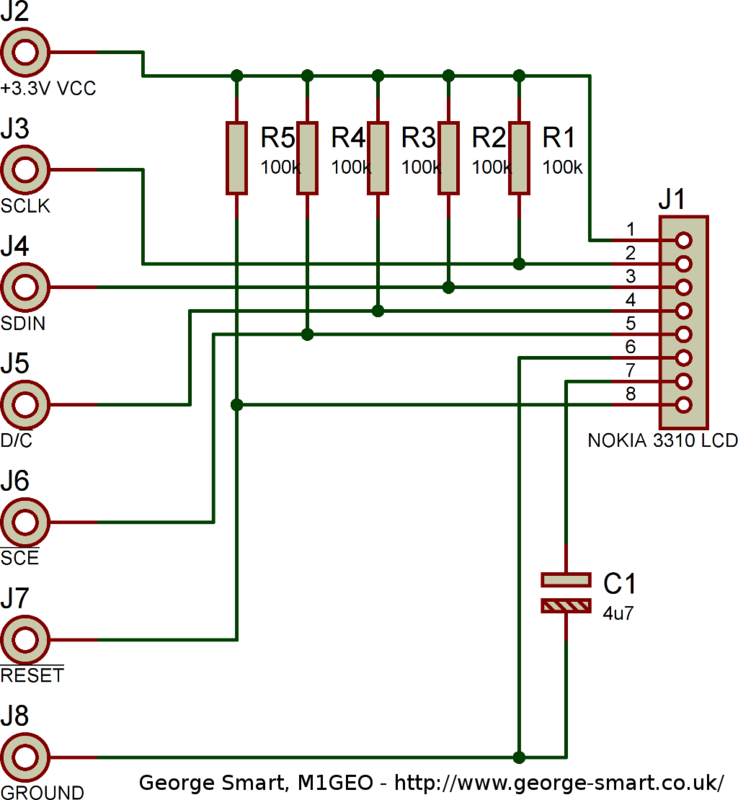 I am running the entire circuit from the K8055‘s DACs (with source resistance). We need low current! As I got here, I had some problems with my computer which I have not yet resolved. This will be while now, as I will be busy. The only Nokia 3310 LCD I had to play about with is faulty. I have tried extensively to get the display to work based on my own code to no avail. 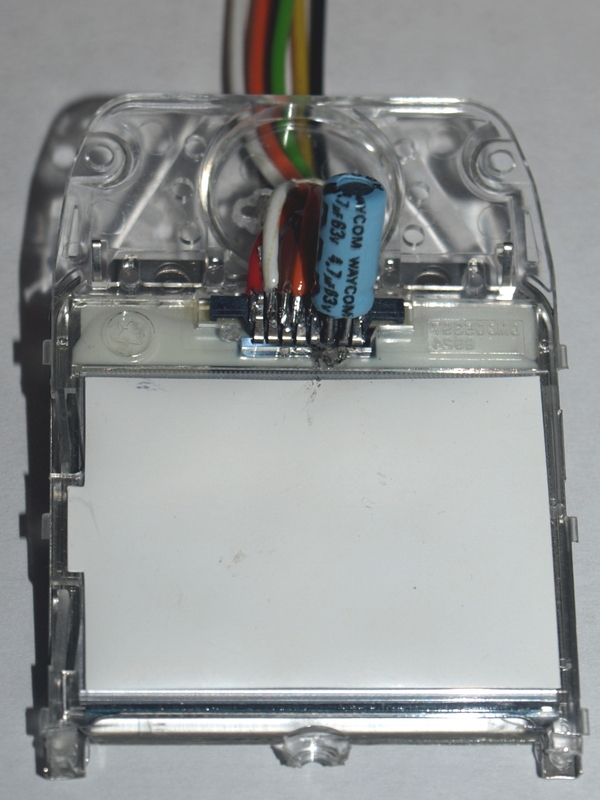 In a diagnostics attempt, I was unable to make the display function with a device known to drive this type of LCD. I therefore assume that the screen is faulty. When I get the chance to purchase another screen, I will do so.